The Garbh Allt Community Initiative, outside the village of Helmsdale on the east coast of Sutherland, has comes into being. This is major breakthrough for land ownership and comes with particular resonance given the history of clearances in the area. The significance of this is not lost on the Directors, who follow in the historic footsteps of the founders of the first branch of the Sutherland Land Law Reform Association in the 1880’s, which in turn became the parent of the Highland Land League. This movement and its vital achievements in securing land rights are commemorated in a memorial cairn, appropriately located in the centre of the now Garbh Allt community owned land, over three decades ago. The community ballot gave 95% support in favour of buying the land and follows on from recent buy-outs in North Assynt (1993), Eigg (1997), Knoydart (1999), Gigha (2002), North Harris (2003), South Uist (2006), Cultybraggan, Comrie (2007) and Machrihanish (2012) amongst others. 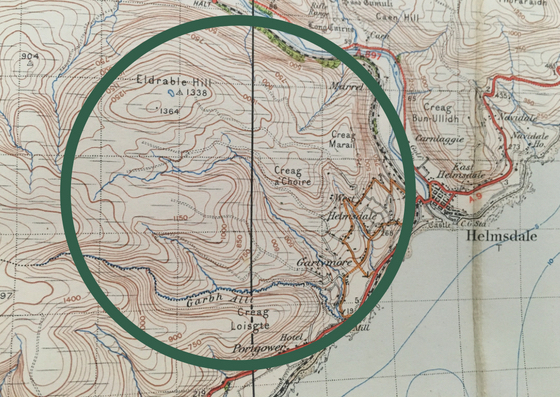 The process began when Sutherland Estates approached the local Grazings Committee, indicating they wished to sell the crofting townships of Portgower, Gartymore, West Helmsdale and Marrel. This tract of land – steeped in history, moulded and bounded by hill, strath and coast is, most importantly, sustained and peopled by communities young and old. These people whether recently arrived or those who have been there for generations are the heart of this crofting community. “Today the communities here, and Diaspora beyond, can retrace the past from Garbh Allt land up into the Strath of Kildonan. Land ownership, resettlement and ideas of rewilding are hot topics nationally with much discussion about the action needed to support community owned lands to play a pivotal role in the sustainable futures of the communities in and around them”. Garbh Allt Chairwoman, Anne Fraser, says the initiative is ambitious and keenly aware of the need to develop a solid, and as such, economically viable basis from which to push on with opportunities identified in the early stages of making the case for the buy out. Please see www.garbhallt.land for more information.